The supplement kit everyone is talking about! Specifically formulated to help bring about a more feminine appearance both in your body & facial features. If your goal is a curvier, more appealing bust line, thicker, fuller hips, higher vocal range, larger cup size, less muscular build with thinner, lighter body hair; look no further our - Transgender combo kit is for you! Brought to you by the leaders in Transgender support supplements - this 3-part kit is specifically designed with your needs in mind. Our five-star bio-delivery system contains the most powerful & effective organic bio-nutrients available to help you obtain the outcomes you have been hoping for - naturally, comfortably & more gradually than anything else on the market. The natural alternative to harsh chemicals & doctor prescribed medication! It has been tested to deliver the best possible outcome with the perfect balance of all natural, all organic ingredients to help deliver the results you have been seeking without constant doctor checkups, blood work & expensive dingy labs. Transformations Labs is here to help you find your way! We can help with a smoother, more gradual, more private, & comfortable approach to transitioning. Our product is designed to give you the physiological, anatomical & endocrine support necessary for an MTF, transgendered individual. 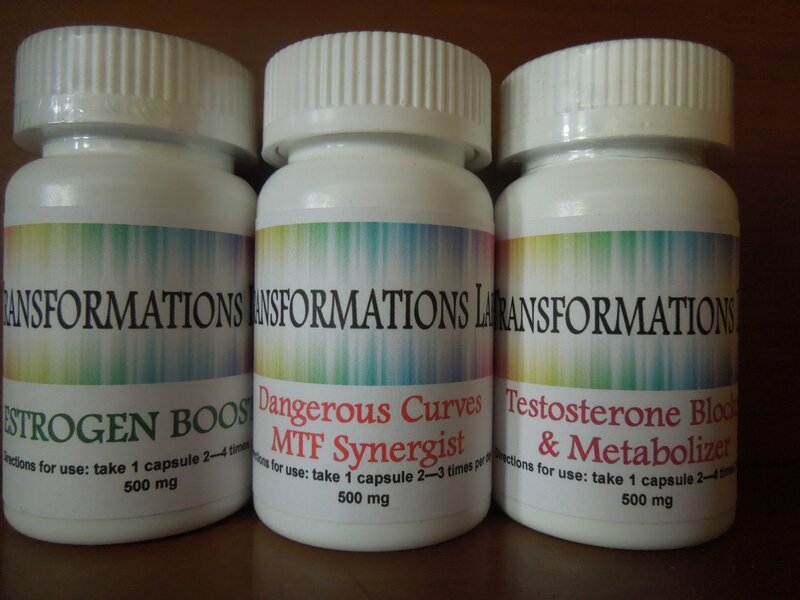 Here at Transformations Labs we use only the FINEST ingredients available, from the most reputable sellers, with the highest product testing values on the market today. Unlike other supplement companies with inferior products, we test consistently for optimum results & for constant baseline values so that our product comes to you at its highest, most pure form EVERY TIME! We are a company built by, operated by and supported by the community we serve. Rest easy knowing we are here to help you find your way! All products are discreetly packaged & shipped within 24 hours. Be bold, be new, be alive - Transformations Labs!